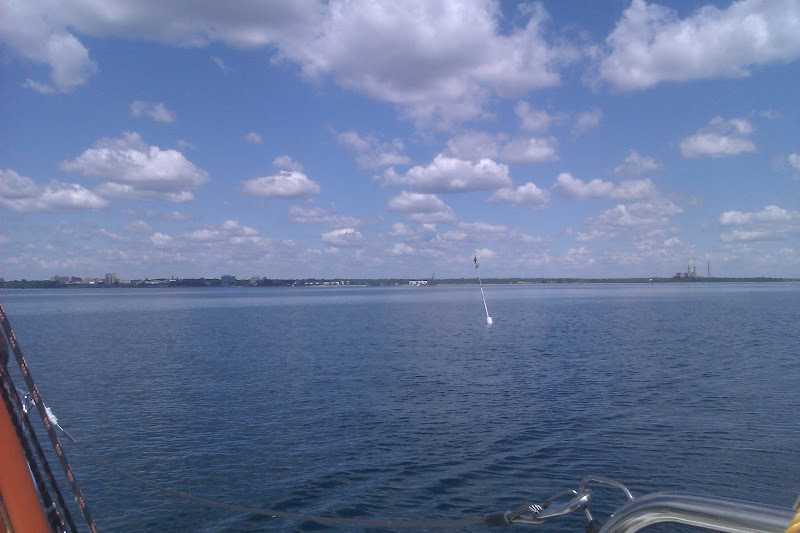 A few weeks back, I mentioned that I was taking a sailing class! 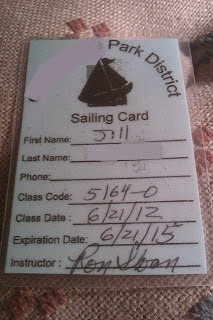 This week was the week, and now I am finished and I have my sailing card! 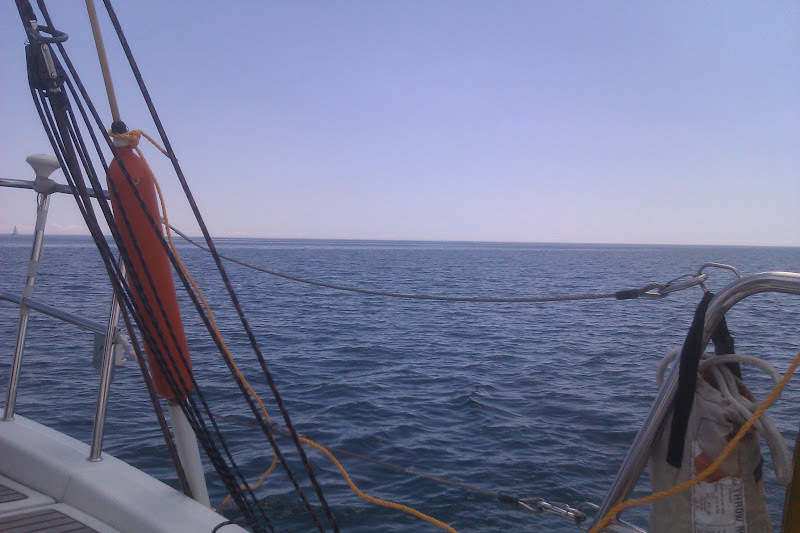 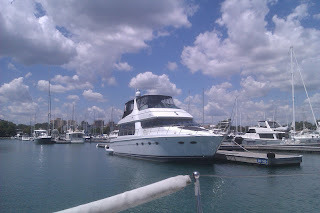 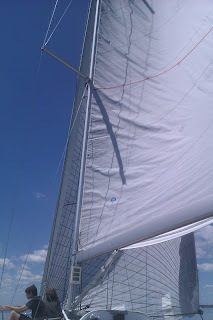 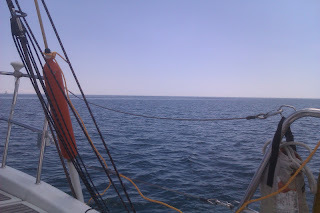 Yesterday I got to have a real sailing adventure on a giant sailboat on Lake Michigan. 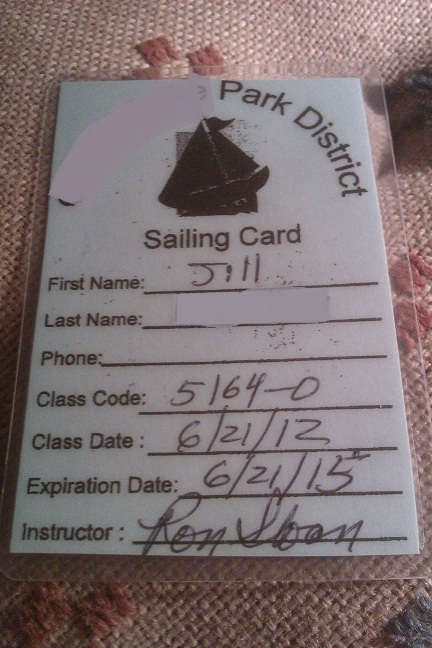 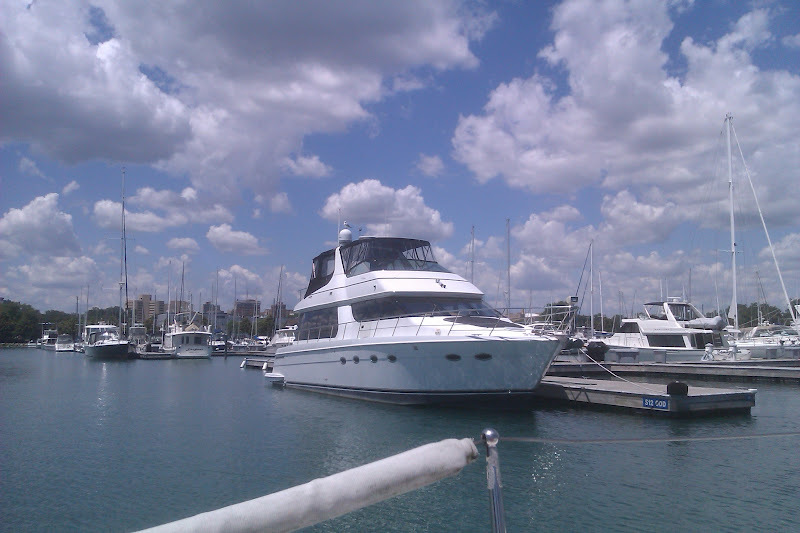 Congrats on your sailing card. What a great way to spend the summer.